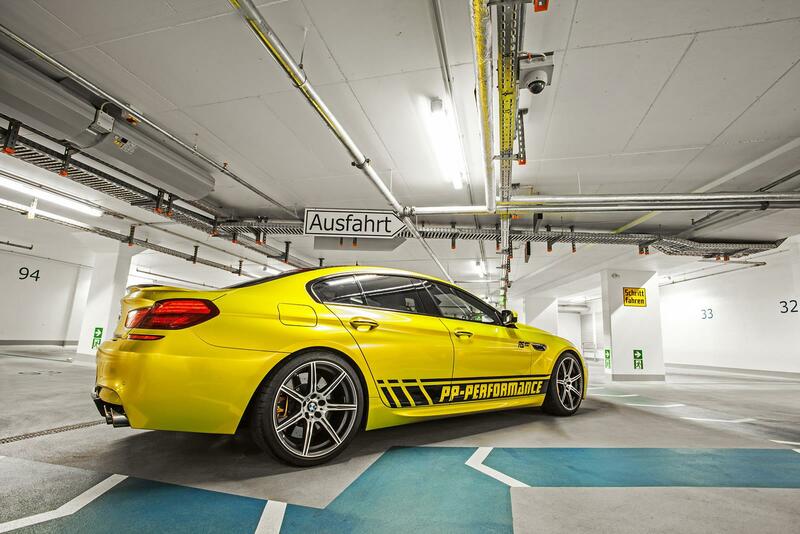 Η PP-Performance παρουσιάζει μια βελτιωμένη BMW M6 Gran Coupe. Περιγράφεται ως η ταχύτερη 6αρα του κόσμου, με τον V8 4,4-λίτρων κινητήρα της να παράγει 800 άλογα με 950 Nm ροπής. Το κόστος των μηχανικών βελτιώσεων αγγίζει τις 14.999 ευρώ (χωρίς ΦΠΑ), με την M6 να έχει τελική ταχύτητα 328 χλμ/ώρα. 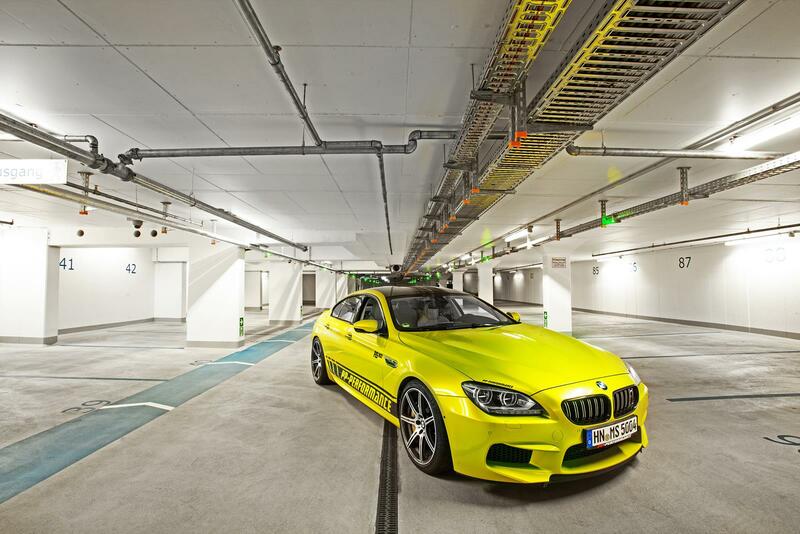 Many people think that BMW 6 series Gran Coupé was actually the nicest BMW, offered by the Munich car company. 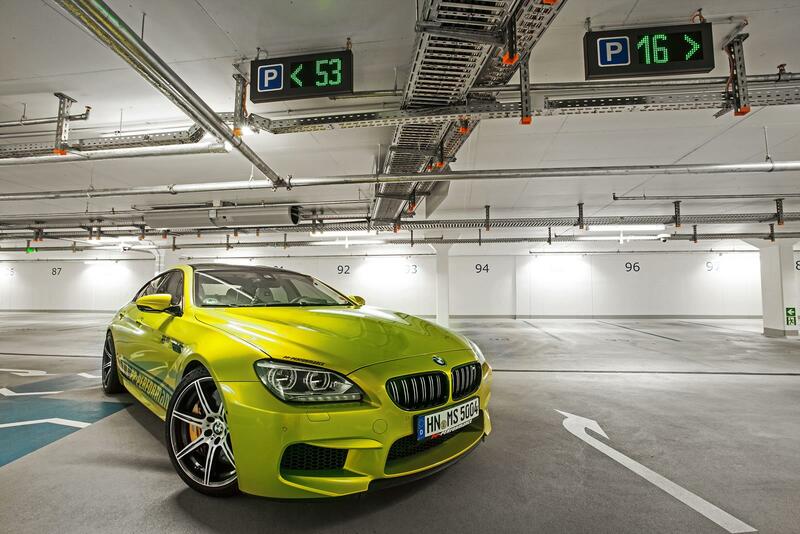 One of the fastest, the top model M6 is in any case, not only subjectively, but also corresponding to the manufacturer’s technical data sheet. Nevertheless, as it is often in life, there are customers who are simply not satisfied by 560 serial HP. 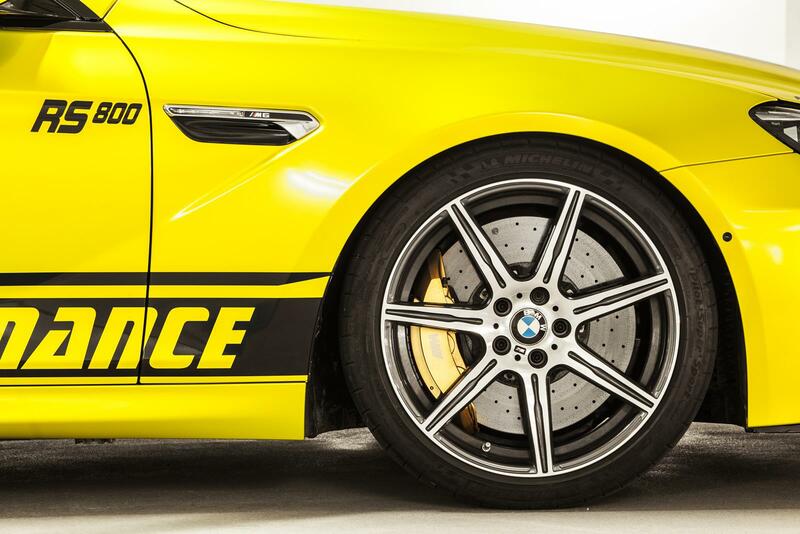 Also in the car’s outer appearance they see some need for optimization. 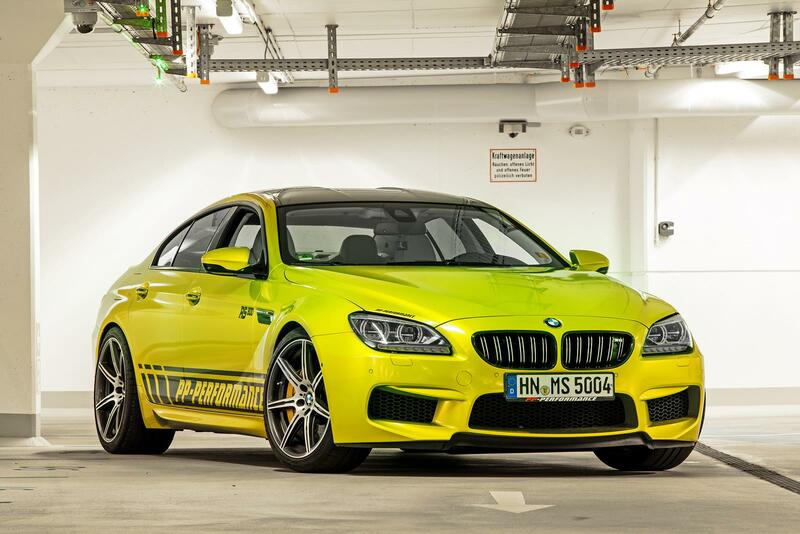 For this kind of customers, PP-Performance has now the right answer to give: BMW M6 RS800 Gran Coupé. Clear at all – 800 is not only a nice game of numbers offered by the marketing department, as it stands for the max. engine power. 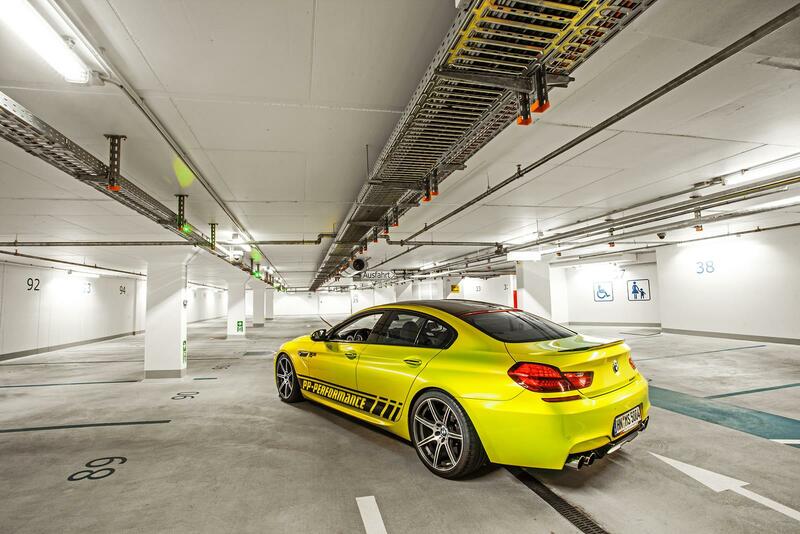 Thus, the tuning company with headquarter in Weissbach (Hohenlohe, Germany) makes the car the world’s fastest BMW 6 series. 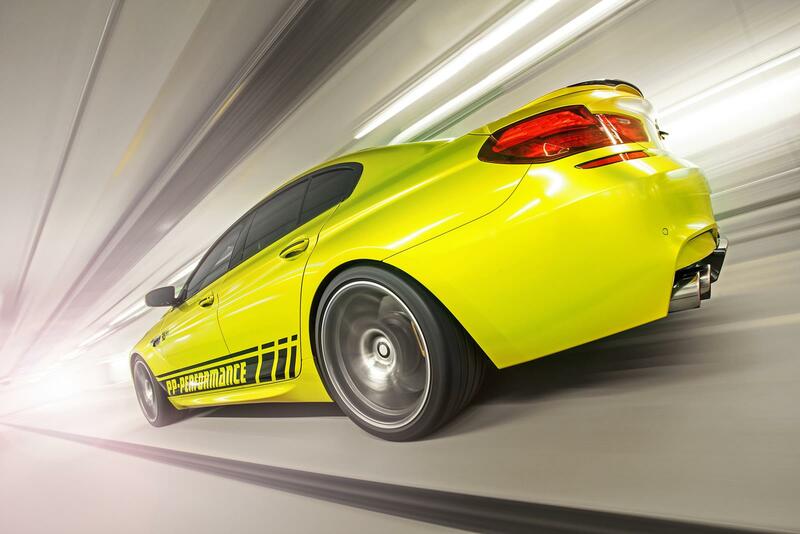 At 328 kmph (203 mph) only, the four doors Coupé admits defeat to the air drag. 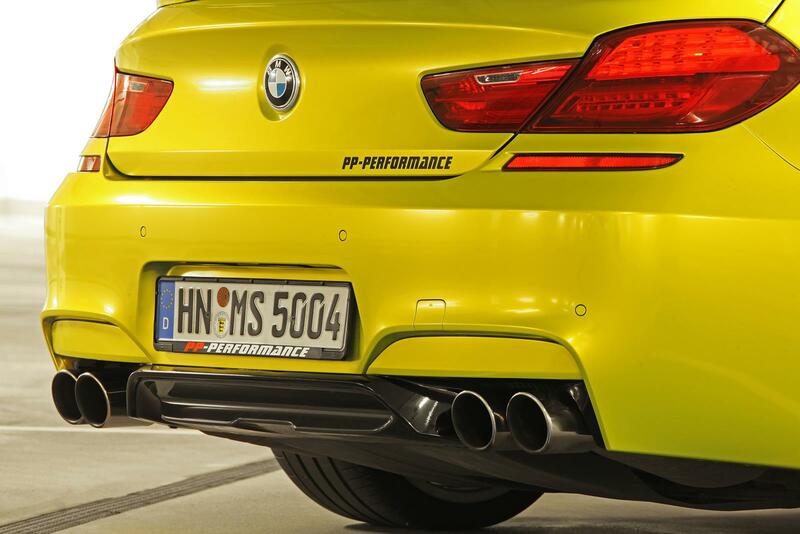 In order to reach such performance values, PP-Performance company founder Jimmy Pelka had to reach deeply into his bag of tricks, because only by help of his self developed software optimization he was not able to draw 950 newton meters and 800 HP out of the V8 bi-turbo (the original has 680 nm). 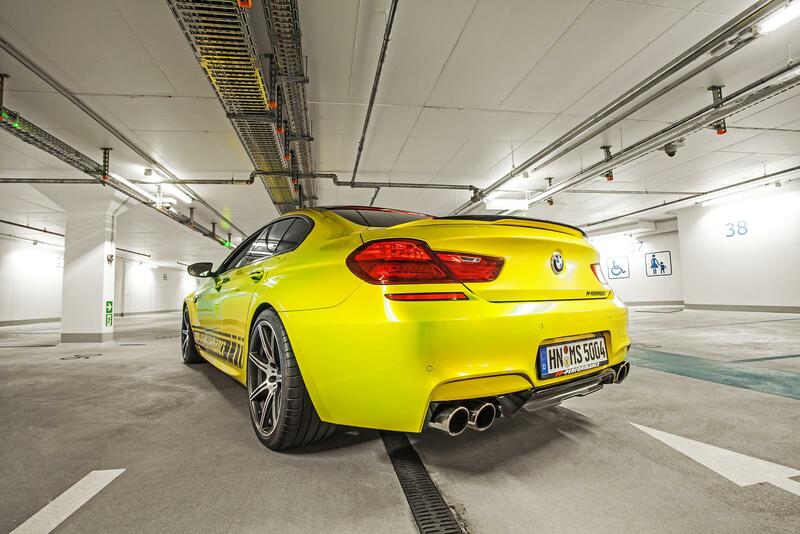 Special downpipes, an Akrapovic titan exhaust system and BMC racing filters for in total 14,999 Euro ex. VAT are necessary to spend in this case, warranting for the right fresh air supply and exhaust extraction in the engine periphery. 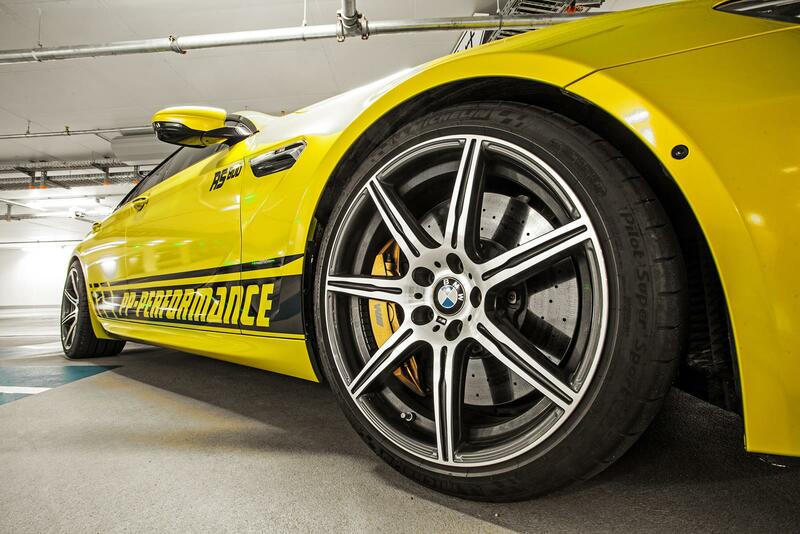 Each PP-Performance power improvement solution is being developed and tested in Abu Dhabi. The dominating climate there (with daily highest temperatures above 50°C/122°F) and the used fuel with octane 92 only are kind of endurance test for each car in serial state already. This way, PP-Performance is able to give the necessary stability guarantee for all chosen „power cocktails“. Its not for nothing that Jimmy Pelka is recognized as chip tuning icon at his second headquarter in the United Arab Emirates. But also in his native country, more and more reports are sent about the successful businessman in diverse tv-reportages in Germany (ZDF, GRIP – Das Motormagazin – RTL2, PRO7, NTV, N2, DW). 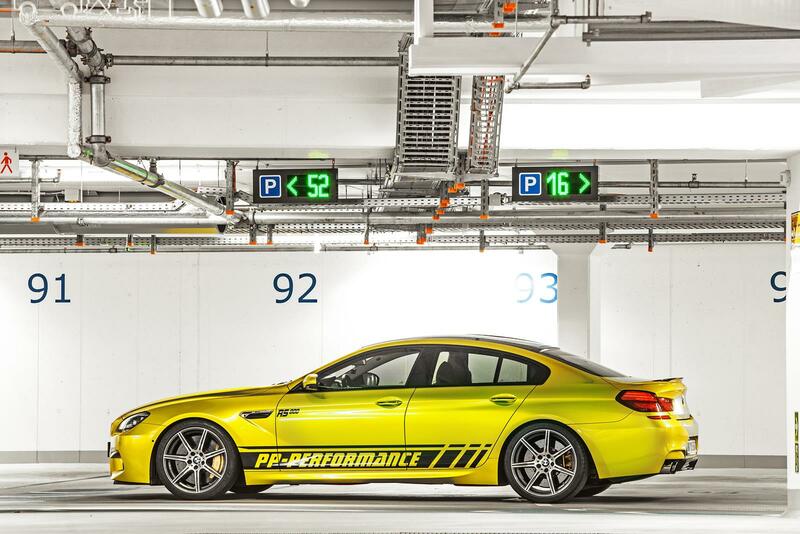 In the meantime, there are four PP-Performance service stations in Germany. One of them is the Cam Shaft company in Kempen. However, the based 30 km north west of Dusseldorf enterprise is specialized not only in optimization of car hard and soft ware, it attends before all to highly professional processing of high tech foil in fields of car design. 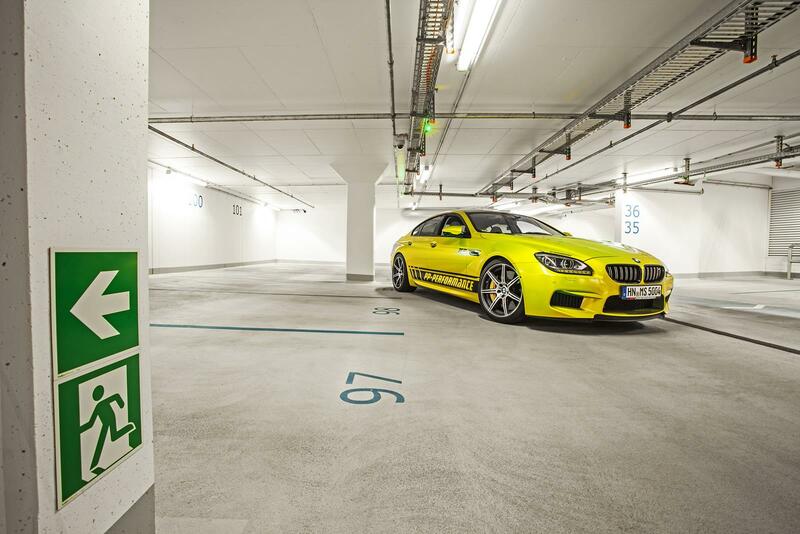 This is the reason for that the RS800 shines brightly in exclusive Electric Lime. 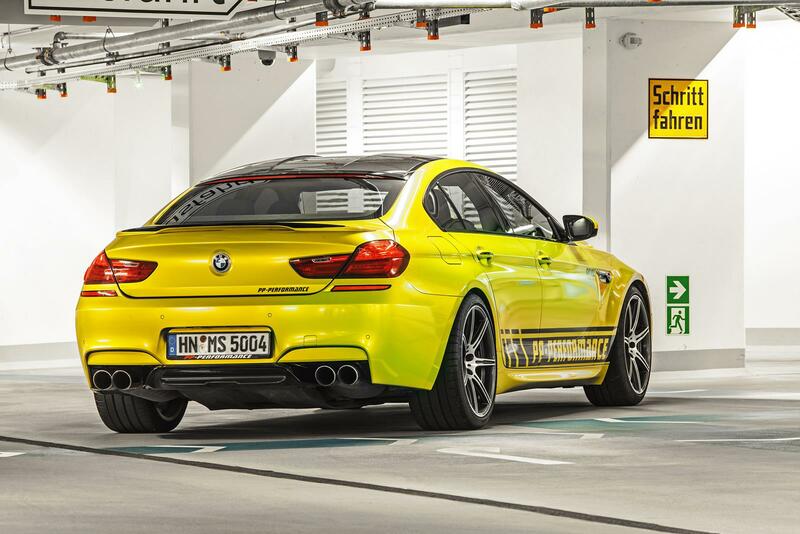 This way, the power of the four door Coupé can be seen also by outsiders in impressing manner, especially on free highway as suddenly in the rear view mirror appearing yellow/green danger. 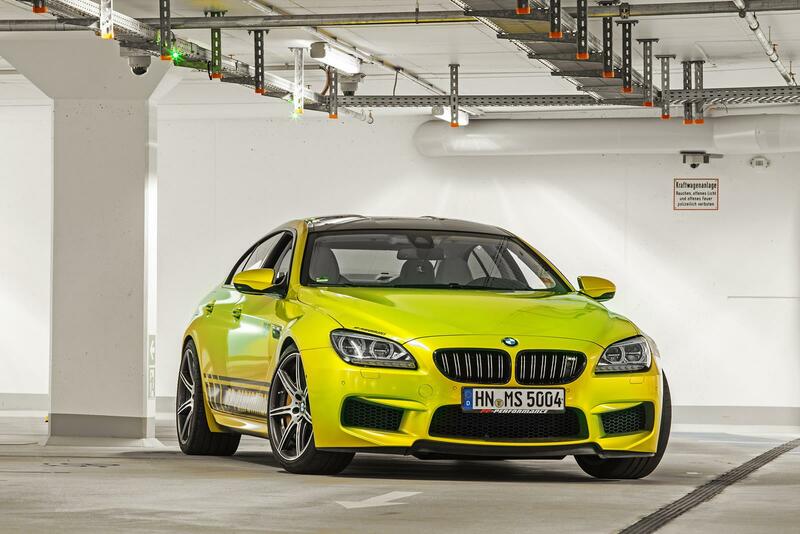 Customized this way, one can hardly realize – is the tuned by PP-Performance M6 RS800 Gran Coupé really the nicest BMW or not, because it is simply too fast.